This is a definite maybe, I am not sure, however reasonably sure they are chickpeas. I am not sure, I think she looks down or considers people who chew or eat the Chat as being low classed or bad. I am not sure; I think Chat has to be one of the biggest cash crops in Ethiopia. Ok, somebody needs to give me a yea or nea, is this Chick Peas? She had them on this platter; I think she was trying to clean. She motioned that they were to eat. I held some up to my mouth saying with hand language, I can eat. I then put in my mouth and she started to laugh, these things are like eating stones, they need cooked or something, they are like stones right now, as they are shown on the platter. 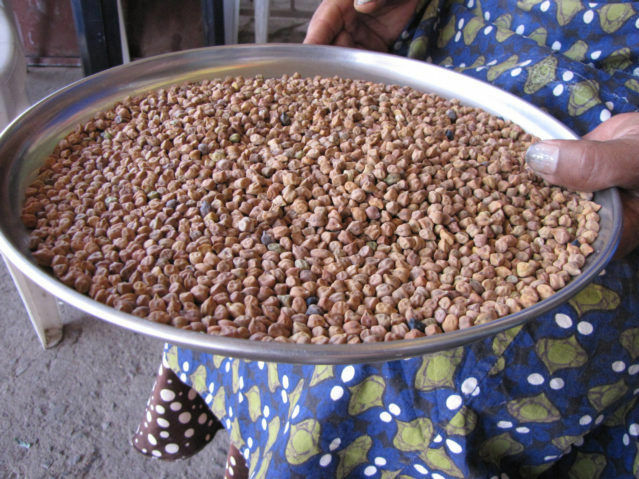 “Chick-Pea, common name for certain related herbs of the legume family, and for their seeds. The herbs have pinnate leaves, solitary axillary stalked flowers, and two-seeded pods inflated like bladders. 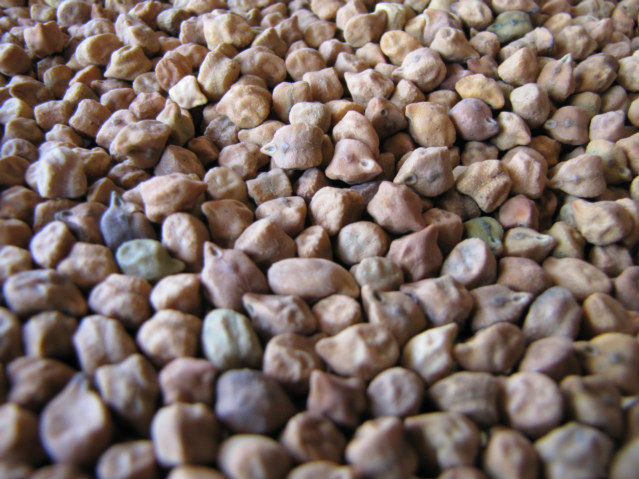 The common chick-pea, also called garbanzo or gram, is native to western Asia and is cultivated widely. It is an annual, up to 61 cm (24 in) high. 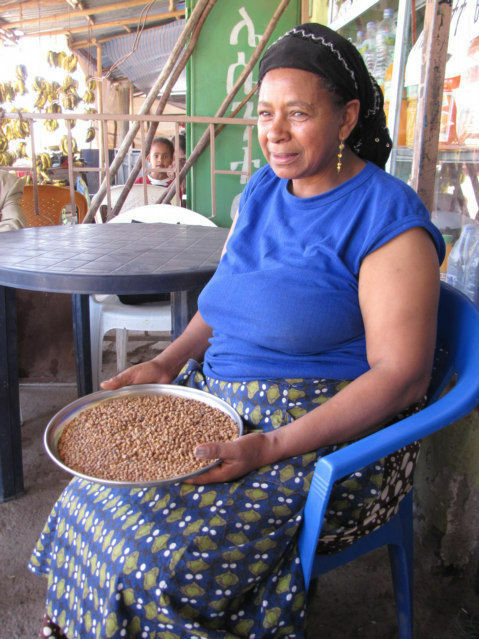 Slightly larger than common peas, the seeds are eaten by many peoples in a wide variety of dishes. They are sometimes roasted as a substitute for coffee. Scientific classification: Chick-peas belong to the subfamily Papilionoideae, family Fabaceae (formerly Leguminosae). The common chick-pea is classified as Cicer arietinum.